PHOTO: Allen Ramsey, DWCPhoto.com. The Highlands freshman football team finished 7-3 on the season with a 28-22 loss to Campbell County on Thursday. 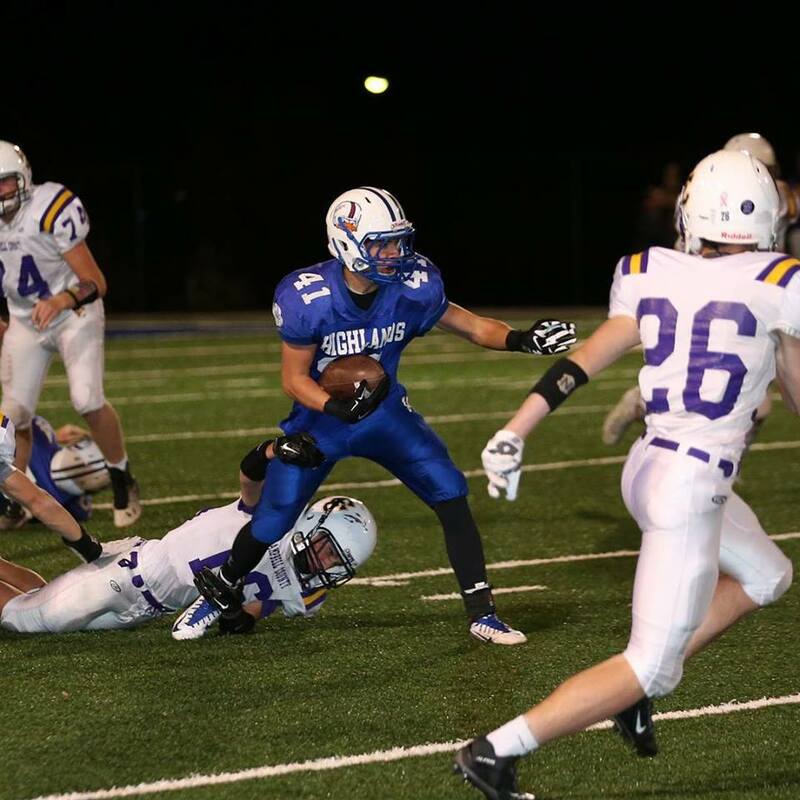 The Highlands Bluebirds freshman football team hoped to finish off the season with an impressive 8-2 mark at home Thursday. PHOTO: Allen Ramsey, DWCPhoto.com. Highlands junior linebacker Luke Ross gets in position in the junior varsity game at Grant County on Saturday. 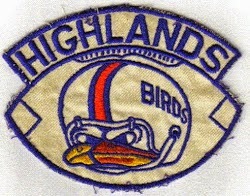 Highlands won 56-0 to conclude the season 7-2. 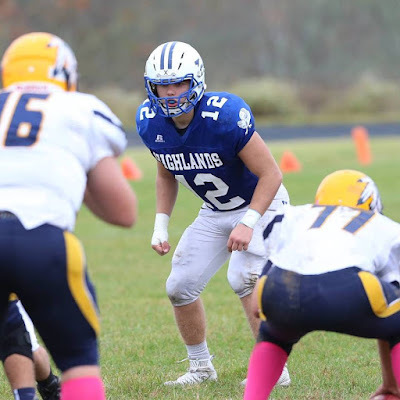 Highlands finished the junior varsity football schedule with a convincing win Saturday. The Highlands Junior Varsity football team followed the varsity's win Friday with a 30-16 win over the arch-rival Covington Catholic Colonels on Monday at David Cecil Memorial Stadium. 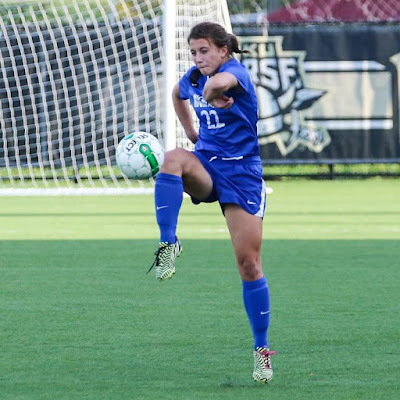 The Highlands Ladybirds (14-8) and Bluebirds (9-10-3) found out where they will travel for their 9th Region quarterfinal games after losing to Newport Central Catholic in the 36th District championships. The Highlands Ladybirds (13-7) took on Dayton to open the 36th District Tournament. PHOTO: Allen Ramsey, DWCPhoto.com. Highlands senior Ben Seiter (8) heads the ball while teammates Noah Sellers (7) and Brady Gesenhues (31) converge. 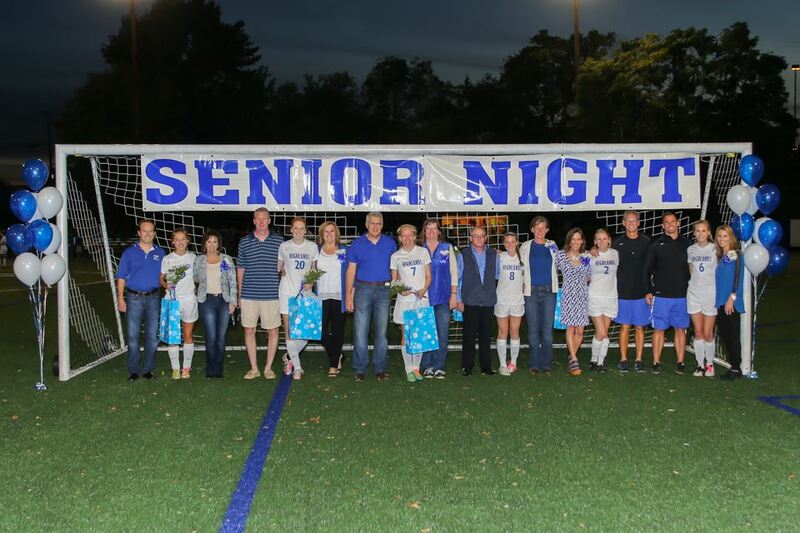 The Bluebirds won 6-2 to finish the regular season 9-9-3. 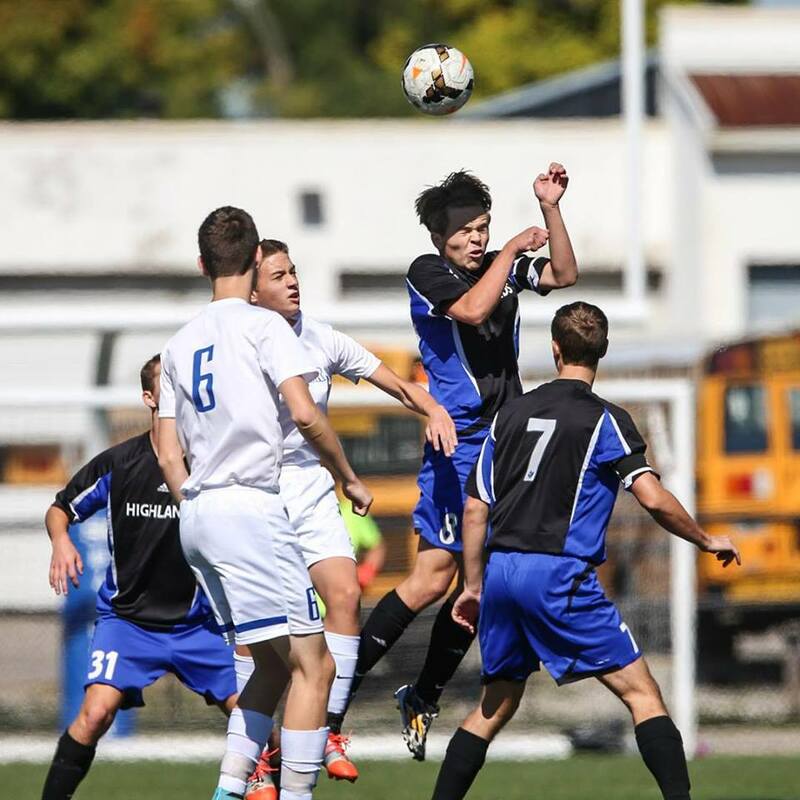 The Highlands Bluebirds soccer team (9-9-5) needed a win entering the postseason. PHOTO: Allen Ramsey, DWCPhoto.com. Highlands senior Madalyn Wiefering boots the ball ahead in a recent game. The Highands Ladybirds girls soccer team (13-7) concluded the regular season with a convincing 7-0 win over the Beechwood Lady Tigers at Tower Park. PHOTO: Allen Ramsey, DWCPhoto.com. Highlands sophomore Sophie Steppe boots the ball ahead in Sunday's game against Bishop Brossart at Northern Kentucky University. 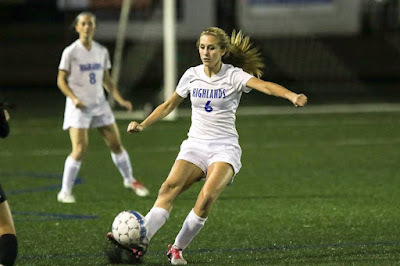 The Highlands Ladybirds soccer team (11-7 overall) took out Bishop Brossart, 2-1 on Sunday. PHOTO: Allen Ramsey, DWCPhoto.com. 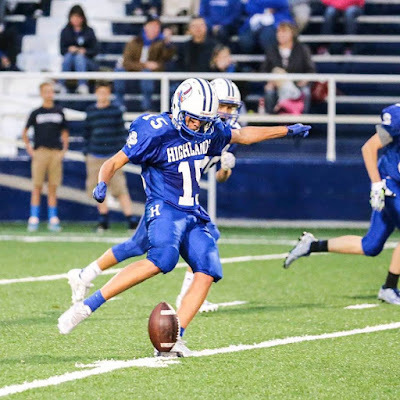 The Highlands freshmen football team lost 39-21 to Covington Catholic on Thursday. 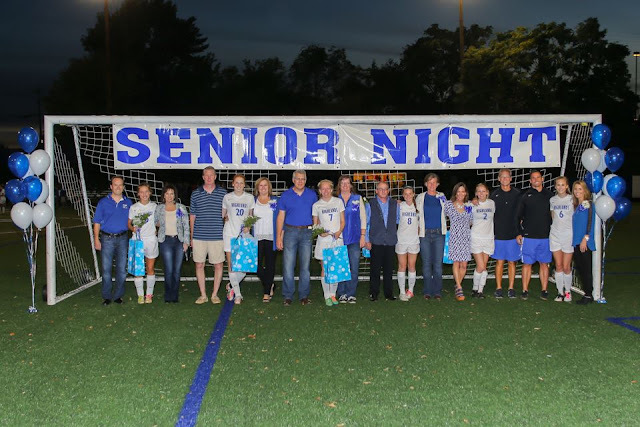 The Highlands Ladybirds soccer team (10-7) could not make it six in a row.